Cflow is a cloud-based workflow automation and business process management software for businesses of all sizes. It provides solutions for industries that include finance, healthcare, technology, manufacturing, oil and gas, among others. In this article, we cover Cflow reviews and pricing. Ready to get started? Get a free trial. As of the date this article was written (March 21, 2019), there are not a lot of positive Cflow reviews online. However, some users said that the software is easy to use and flexible. Others mentioned that it has excellent customer support. There are no negative Cflow reviews online as of this writing. If you are a past or current Cflow customer, leave a review to help other business owners who are deciding whether or not to use the software. Cflow pricing is based on a free plan and three paid subscription options: Happy ($7/user/month), Joy ($11/user/month), and Bliss ($16/user/month). The main differences between the plans include limit to users and processes, dashboard reports, and table reports, as well as access to premium features such as template designer and analytics. Cflow also offers special pricing options for educational institutions, startups, and non-profit organizations. Interested individuals may contact its sales team to get more information. Ready to get started with Cflow? Get a free trial. 11 Best Workflow Automation Software 2019: Workflow automation software allows you to create processes to handle repetitive tasks. For example, the software can send a response every time someone fills out a web form or copy and paste information from one system to another. In this article, we’ve identified the best workflow automation tools to help free teams to focus on the things that matter the most. Is there an available Cflow app for mobile devices? Yes. Even on the go, users can still access Cflow’s functionalities like creating new requests, tracking processes, and managing pending tasks through the Cflow Mobile App. Users can download the app on the Google Play Store and the Apple App Store. Does Cflow require a long-term contract to use the software? No. Cflow is a pay-as-you-go software and does not require a contract. Its users are free to cancel their subscription any time. 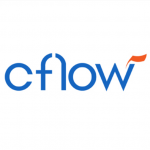 Have you read these Cflow reviews and are still not sure if it’s the right fit for you? Read our reviews of all top workflow management software providers or check out one of these three Cflow competitors.